THUMBS DOWN ! DRINKABLE SKIN IMPROVEMENTS? I had this review in draft mode and really didn't want to start off with a bad review, but after my trend-setting sister and her friends had called me to ask about this new drink, I new I had to post it. OK . . . We are taking an active stand against blatantly misleading products. So this time we're calling out BORBA Skincare for misleading consumers. 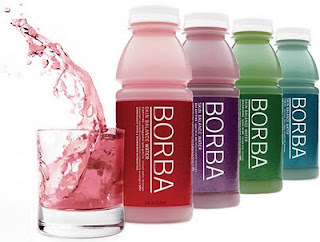 BORBA claims to have "drinkable skincare" in 4 formulations (Clarifying, Age Defying, Replenishing, and Firming). Quoting the BORBA website exactly, they are . . . Designed to combat the appearance of aging skin, and fine lines and wrinkles. 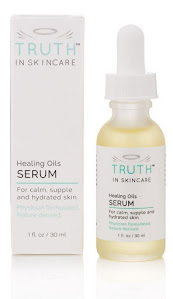 Designed to combat oily skin, clogged pores, and impurities. Design to diminish skin dryness, sensitivity, and roughness. Designed to promote skin’s natural smoothness, elasticity, and nourishment. They list the Active Ingredients as . . . Vitamin E, Vitamin C, and each formula has one of 4 fruit juices (Guanabana fruit, Acai berry, Lychee, Pomegranate). Let's Break Down the Ingredients shall we? Tocopherol Acetate is simply "Vitamin E"
Magnesium Gluconate is an additive use to regulate pH and to help dissolve minerals in solution. Citric Acid is simply Vitamin C, it also gives a "sour" taste to foods & drinks. Potassium Phosphate dibasic is another additive used to acidify, and gives a "tangy" taste to foods. This is also found in sodas (and excessive amounts is thought to contribute to lowered bone density). Ascorbic Acid is Vitamin C again. Silicon Dioxide is found in nature as sand (pretty much), it is another additive with no nutritional benefit. This is basically an artificial drink with some minerals/vitamins thrown in. There is absolutely nothing revolutionary in the ingredient listing, all of them are commonly used in the food and drink industry. Forget the fact that there is NO POSSIBLE WAY to be able to create drinks that could even begin to target skin health such as clarity, firmness, aging, etc. This is complete rubbish. If you even tallied up the cost of these additives and nutrients, they would cost maybe a few cents at the most! However, these drinks sell for a whopping $36 for a case of 12! If you want even better nutrients for your skin, pop a vitamin and drink it with water. You'll find most multivitamins boast a higher amount of vitamins and minerals than you will ever get with these waters. MY ADVICE: Drink plenty of water and and if you want fruit-based nutrients, I suggest drinking FRESH fruit juices (orange, pomegranate, etc). Fresh fruit juices are much healthier and contain NATURAL vitamins and compounds that are lost when sitting on shelves or taken from concentrate. Remember there is no replacement for getting your vitamins straight from nature. CRITICAL THINKING: Look into the company and, even on it's own website, you'll find background information on the creator/founder. Borba's creator, Scott Vincent Borba, has no formal science, medical, or nutritional background. He is educated and has worked in MARKETING. He has worked in marketing for a multitude of skincare companies. And that is exactly what this "drinkable skincare" is all about. A nicely packaged product and marketed well. Unfortunately, there is no substance to them at all. SUMMARY: There is no such thing as targeted skincare in a drink! These BORBA drinks are only a marketing tool and clearly misrepresents itself to consumers. There is absolutely no targeted skincare effects of these drinks whatsoever. Thats a shame. I really thought they worked. Now what am i to do with those 300 borba vitamin packets i bought? & theydid taste gross i had to force myself to drink them b/c i thought they were healthy.